The hat is knitted with mixed kinds of natural yarn like alpaca, wool, a little of silk and kid moher! It is a kind of oversize type. 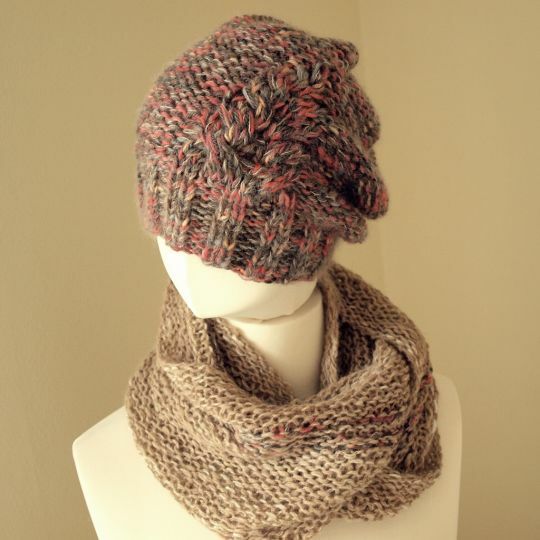 The cowl is knitted with handspun baby alpaca wool.